Home HolidaysFathers Day Champagne Popsicles and Other Boozy Recipes to Quench Your Summer! Champagne Popsicles and Other Boozy Recipes to Quench Your Summer! What says summer more than popsicles? Champagne popsicles, that’s what! Cool treats and boozy recipes are a perfect way to indulge in the summertime, so I’m here to give you some recipes for these refreshing adult treats. Who doesn’t LOVE to infuse alcohol in their food and dessert? 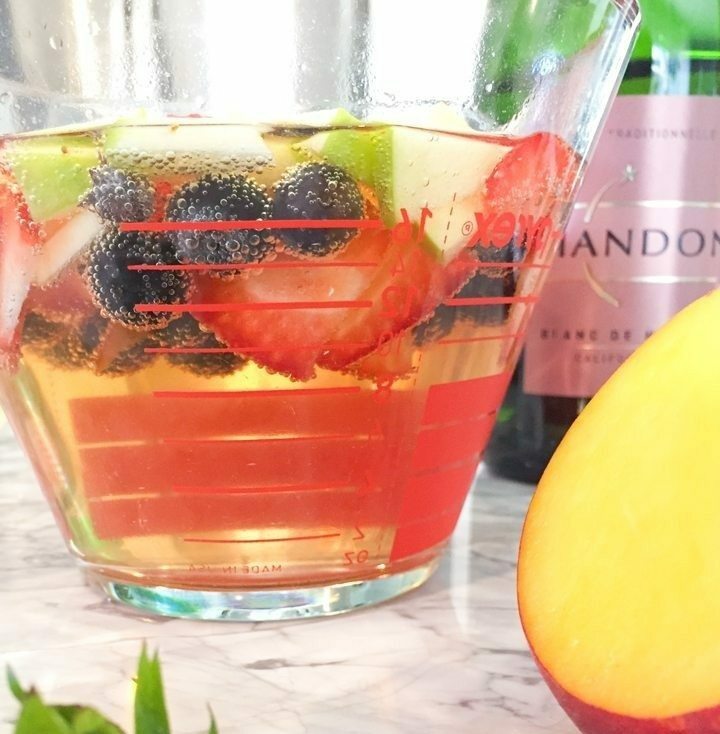 Summer brings an abundance of seasonal fruits so it’s the perfect time to throw them together into your favorite frozen libations to make something refreshing and out-of-this-world. Check out these three crowd-pleasing recipes for champagne popsicles and other boozy treats that will be sure to quench your summer time thirst! I promise they’ll be such a hit you’ll want to make multiple batches! Combine ingredients in a small bowl, including fruit. Cover and refrigerate for several hours or overnight. This will help de-carbonate the champagne a bit so your popsicles will be less slushy. 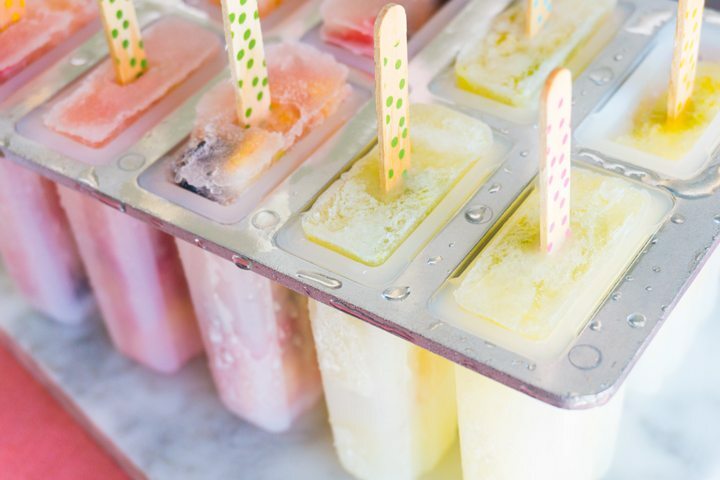 Note: You could swap out the triple sec for orange juice, but I found that using the clear liquids listed above make for clearer and prettier popsicles! Take your mixture and pour into popsicle molds and freeze. **This recipe fills six 2.5 ounce popsicle molds. Combine all liquid ingredients in a bowl. Add more lemon juice or simple syrup to taste. Pour into your molds. 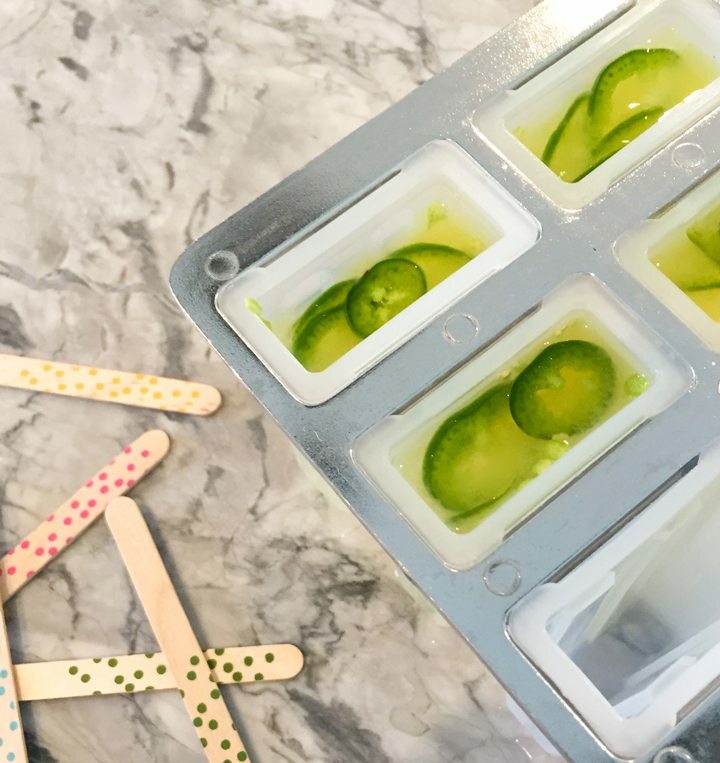 Add a few slices of jalapeno to each mold and freeze. **Recipe fills four 2.5 ounce popsicle molds. So, are you drooling yet? 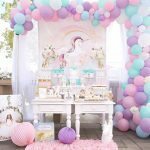 If you need a little encouragement to throw a summer get-together, look no further than our Easy Party Planner Checklist and remember that a summer backyard party can be as fuss-free as possible! Now…onto my FAVORITE boozy popsicle recipe that I’m so excited to share with you! So, I have to say, I was NEVER a gin fan…until a friend convinced me to drink Hendrick’s gin with a slice of cucumber and a splash of ginger beer. Well, call me a convert because that was the most refreshing and wonderful drink I’ve ever had! It definitely deserves a special summer popsicle recipe! Just so you know, the quest for turning this simple drink into an edible version was crucial for me because I NEEDED a reason to have this refreshing concoction before noon. I’m sure you’ve been guilty, too, of fabricating great excuses to turn ANY hour into happy hour…am I right?!? Well, after several batches to test flavor and freeze factor, the following recipe won over my taste testers! Hmm…its funny how I get flooded with requests for taste testers especially when I add in some alcohol! Puree your cucumber in a blender, then add in your liquid ingredients and pulse a few times to mix. Pour your mixture into popsicles molds and freeze. 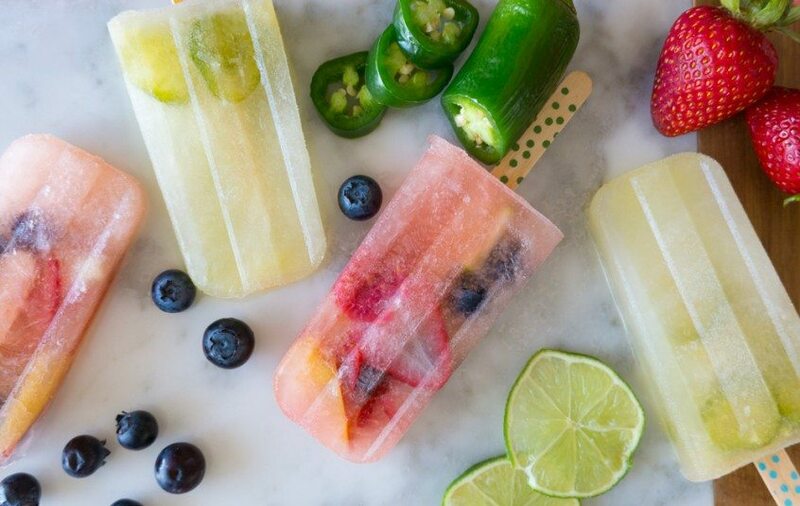 You can also add a couple thinly sliced cucumber to each mold to pretty up your pops before your freeze! **Recipe fills six 2 ounce popsicles molds. 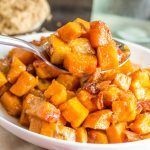 I love that these simple recipes only use a few ingredients and some fruit or veggies to help solidify the alcohol. Easy peasy, lemon squeezy! 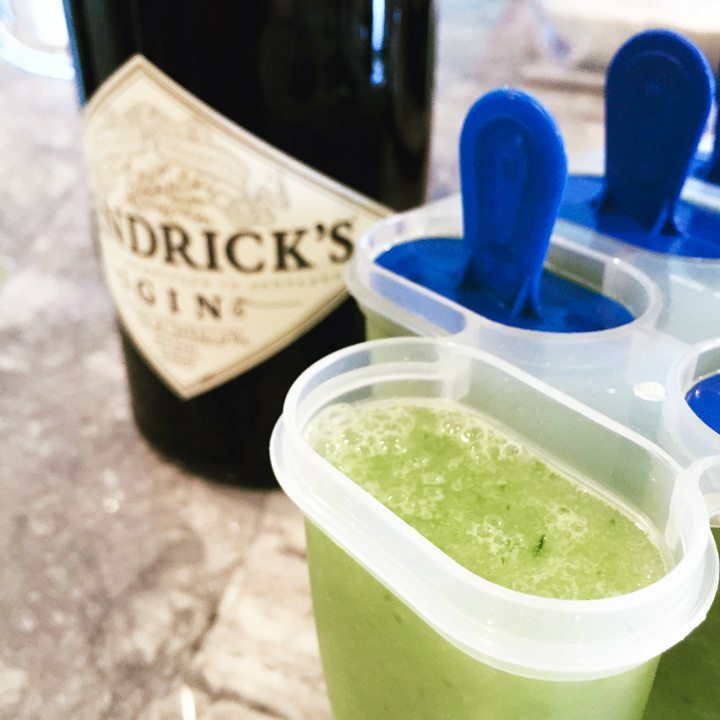 So, whether it be champagne, gin, vodka or your favorite spirit of choice, you, too, can make yummy adult summer frozen treats! Now, get to it and fill up your freezer and stay classy cool all summer long! I’m gonna be a hit at the next summer party – thanks for the recipes! 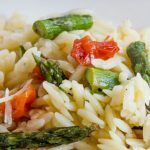 Thank you for linking up to this weeks Creative K Kids’ Tasty Tuesday – I can’t wait to see what you share with us next week! I adore a delicious boozy bite and these popsicles are perfect for summer! 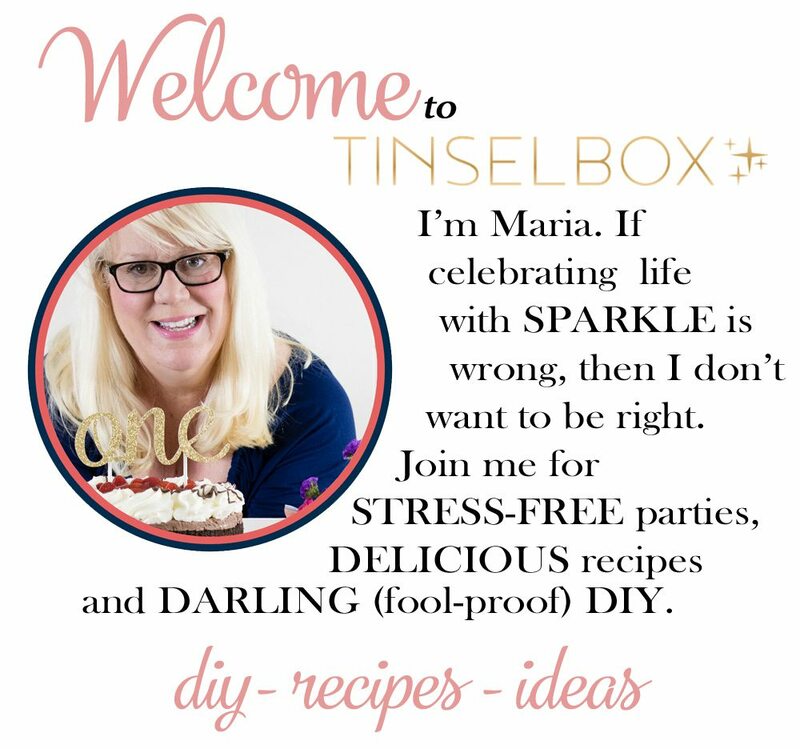 Thank you so much for sharing at this week’s Delicious Dishes Recipe Party! The champagne popsicles look so fun and yummy!